Akel leader Andros Kyprianou on Wednesday called on foreign diplomats to exert influence on Turkey to cooperate in good faith to resolve the Cyprus issue for the benefit of all Cypriots and the wider region. Kyprianou was addressing the diplomatic corps at the annual lunch hosted by the party for foreign ambassadors to the island. 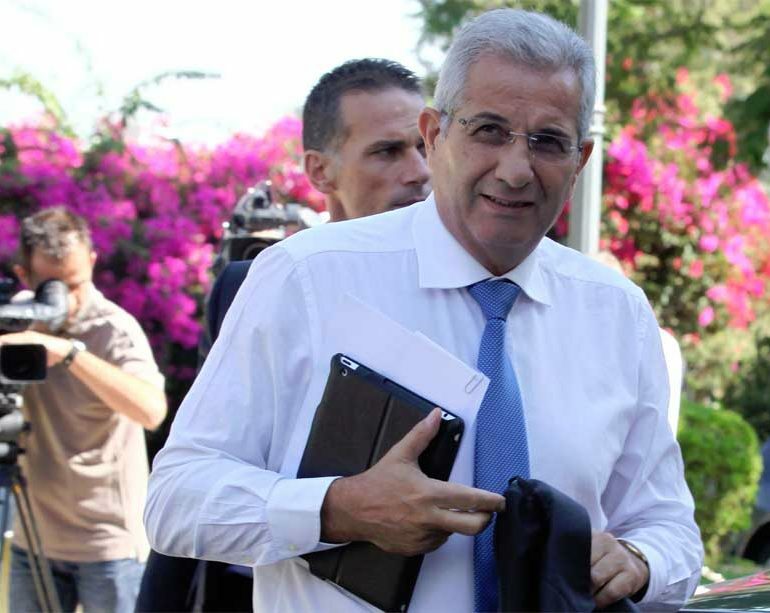 The Akel leader, who has been highly critical of President Nicos Anastasiades’ handling of the Cyprus issue since the collapse of the last round of talks in Crans-Montana in July 2017, said the only way forward was a bizonal, bicommunal federation based on the already-agreed framework. “Recently a public debate has been launched on abandoning the agreed basis for a solution. This is coming not only from the Turkish side, but also from some in the Turkish Cypriot and Greek Cypriot communities,” Kyprianou said. “The fact is that for almost 45 years we have not managed to solve the Cyprus problem in the aforementioned agreed basis. Some assert this argument to argue that the target solution of a bicommunal, bizonal federation is unattainable and we must seek unitary state solution. We believe that this is unrealistic,” he said, adding that if the goal of the federal solution is unattainable, how could be possible to attain the much more ambitious and extremely difficult task as the single state solution. Expressing concern over changes in the north, he said, this was part of the road to partition. “The Turkish Cypriots themselves, with whom Akel talks an ongoing basis, consider that if the current state of affairs continues, Turkish Cypriot community will be fully assimilated by Turkey and will disappear as an entity,” he added. “Either Turkey will become an important step towards a solution, or it will insist on its unacceptable positions and be exposed to the eyes of the UN Secretary-General and the international community,” he added. Referring to Anastasiades more recent references to a decentralised federation, Kyprianou said Akel does not disagree with this on principle “but we need to know exactly what he means”. “The issue for us as I said before this is not per se decentralised federation. In the modern world, there are both decentralised and centralised federations. These depend on the reasons and ways of establishing a federation. But there are a number of questions that trouble us,” he added. “What purpose does it serve to demolish an existing convergence while the effort is the resumption of the negotiating process? Why Does the president insist stubbornly on not sharing any thoughts with us? Kyprianou said all of the recent developments have complicated the issue resulting in the leaders having to come up with new terms of reference for a continuation of the negotiations when there was already a clear framework both in terms of content and in terms of process. He also said the political parties have no official information on the latest contacts UN envoy Jane Holl Lute has had with all sides and reiterated concerns that everyone appeared to be saying there would be no talks before May or June. Addressing the ambassadors, he said: “This is why we call on all of you friends to exert your influence on Turkey in order to cooperate in good faith to finally solve a problem whose solution will open a window for the future both for Cyprus and the wider region,” Kyprianou concluded.